Mansoor Ahmed Mazari Department of Pediatric Hematology/Oncology and Bone Marrow Transplant, Children Hospital and Institute of Child Health, Ferozpur Road, Lahore. Objective: To determine the clinical response and frequency of side effects of hydroxyurea in thalassemia intermedia patients in local population. 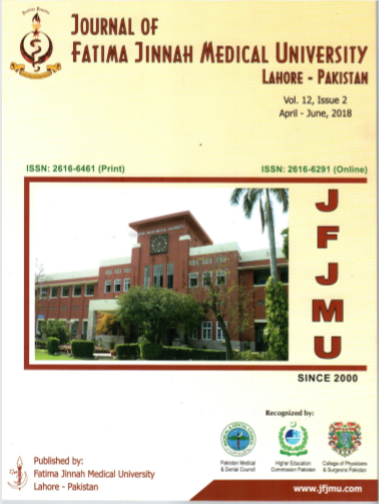 Patients and methods: Descriptive case series study was conducted in Pediatrics Department of Fatima Memorial Hospital, Lahore from August to December 2016. Total 150 patients clinically diagnosed to have thalassemia intermedia fulfilling inclusion criteria were enrolled, interviewed and examined. Baseline investigations were sent to monitor the side effects of hydroxyurea. Hydroxyurea was started at dose of 15mg/kg/day and patients were called after every fortnight for first 8 weeks and then monthly for 4 months. If no response seen on first visit, dose was increased to 20mg/kg/day and called again after 2 weeks. If still no rise in Hb observed, labelled as” no response”, if Hb increase then label as according to clinical response criteria. Patients were graded according to clinical response criteria after 3 months starting of hydroxyurea. For blood transfusion frequency, patients’ blood transfusion record was explored for their mean pre-transfusion Hb levels and red cell consumption after and before start of hydroxyurea in 3 months. For leucopenia, complete blood count was repeated after 1 month starting hydroxyurea. For diarrhea, clinical examination and assessment was done after 1 month of starting hydroxyurea. For neuropathy clinical assessment was done periodically on monthly visits. Results: Out of 150 patients, 79 (53%) were transfusion dependent and 71 (47%) were transfusion independent. Total of 123 (82%) showed response and 27 (18%) showed no response even after increasing dose from 15mg/kg/day to 20mg/kg/day. Out of 123 responders, 74 (49.3%) were good responder, 49 (32.7%) were partial responder. In good responders mean increment in hemoglobin ranged between 1.5g/dl to 2.5g/dl. Conclusion: Hydroxyurea is an effective and well tolerated drug for the treatment of thalassemia intermedia with very few side effects. With use of this medicine, regular blood transfusions and its hazards can be prevented in these patients.